Ethical Edibles is dedicated to distributing wholesome, sustainable products that are either organic, and/or sourced from small producers implementing fair trade criteria, or from family-run enterprises preserving traditional forms of cultivation and processing, and perpetuating local traditional food culture. The aim is to show how organic or traditional food is not only healthier and fairer, but can reach heights of sophistication and elegance that compete with and surpass the best in gourmet foods. 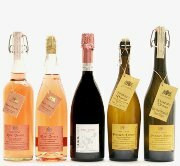 Our range of products is mostly from Italy, which is regionally diverse and where small, family-run, traditional farmers and wine growers still abound. You might think we should be called ' Ethical Drinkables', judging by the amount of wine on our list, but in Italy wine is classed as 'Food', and we aim to encourage the use of wine as a balanced food to complement healthy meals, just as is done in Italy. 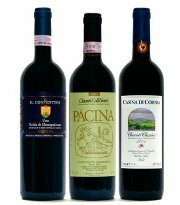 We aim to foster enjoyment and understanding of Italian wines in the U.K., where fine Italian wines are barely known, and the smaller, terroir estates are not present at all. 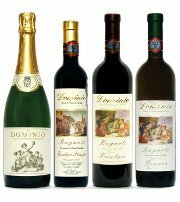 At a time when tastes are everywhere being standardised, and fashions are global, we hope to foster a taste for local produce and the riches of regional Italy by developing an Italian Wine Club offering the best crus, and sourcing rare wines from traditional estates, some of which only produce a couple of thousand bottles. Ours is food for a truly cultivated and well-husbanded world. We are linking with like-minded organisations, and interesting initiatives throughout Europe. Our products are rapidly becoming a feature in the best restaurants and health-food shops. The no added sugar organic jams, with ca. 250 gr. fruit per 100 gr. are unique in their field. 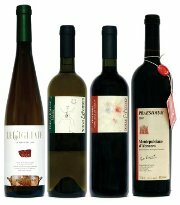 Among our products are carefully selected wines, among which the much-admired Schiaccionaia organic estate, producing wines of great elegance and depth, and Sellari Franceschini, one of the finest Morello and Morellino of Scansano available, a real find, produced in very limited quantities, and two of the finest and most interesting olive oils of Tuscany, tasting like pure, unadulterates olives, with definite, spicy aftertaste. To complement these we have taken on a Sicilian oil with its expansive, fruity taste, and olive varieties with aromas reminiscent of citrus and tomato. We also hope to introduce the U.K. to panpepato and panforte as it is eaten in the Sienese province, in slivers off big 4Kg. wheels which have a chewy consistency that cannot be matched by the smaller versions. Finally, every good meal is rounded with a cup of fine coffee. Sourcing strong, true brews of the highest quality, still fresh when they reach the table, and organic to boot, took some finding. We are proud of our partnership with the Natural Coffee Company, roasting Arabica beans from all over the fairly-traded, organic world within days of delivery. This small, high-calibre company can roast and package to specification. We have selected rich, dark versions of some of their finest blends, including a Swiss water-processed decaffinated rich and luscious coffee.